The first Warung Tekko was opened in 2008 in Pantai Indah Kapuk – North of Jakarta, Indonesia. The demand for our quality home-style Indonesian food with both local and international customers has enabled us to expand to more locations. Currently, we are serving authentic Indonesian food from more than 46 outlets across the Indonesian archipelago. As a result, Warung Tekko has become one of Indonesia’s fastest growing locally owned and operated Indonesian restaurants. Our vision is to bring the home experience of authentic Indonesian cooking to our customers. In doing so, we have a mission to see our customers leave our restaurants with a full belly and smiles on their faces, completely satisfied by the Warung Tekko experience. 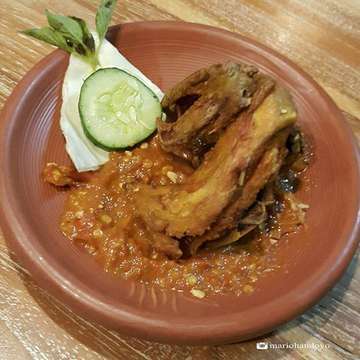 We are famously known for our ‘Iga Penyet’ (Fried Short Ribs with Special Smashed Red Jalapeno Sauce) and ‘Konro Bakar Saus Madu’ (Honey BBQ Back Ribs). 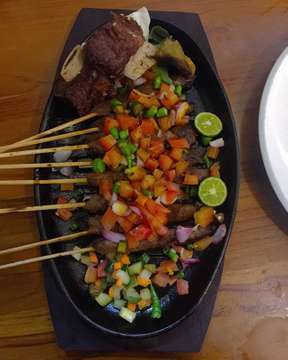 The ‘Iga Penyet’ is served with four varying levels of spicy smashed Jalapeno sauce (mild, medium, hot, and extra hot), so that everyone is able to choose their preferred level of spiciness.